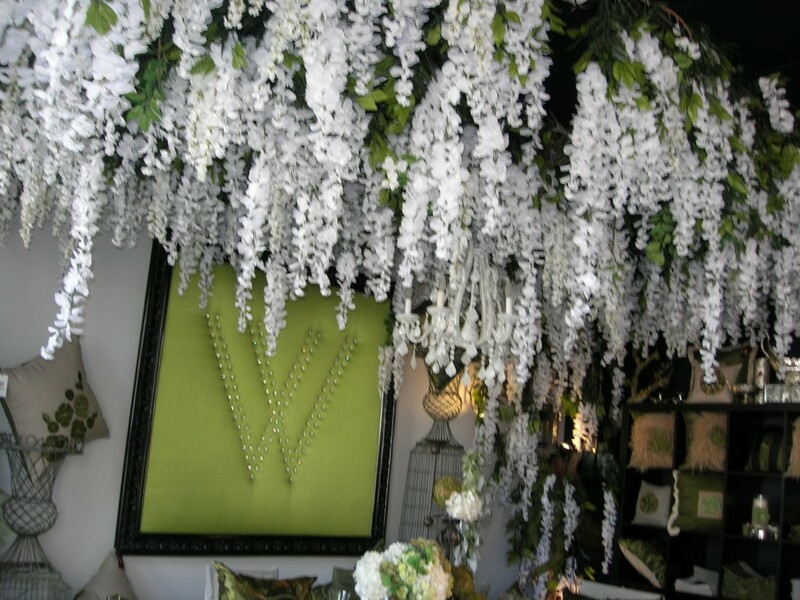 Wildflower Linens provided the linens for Bella and Edward’s wedding scene in Breaking Dawn Part 1. 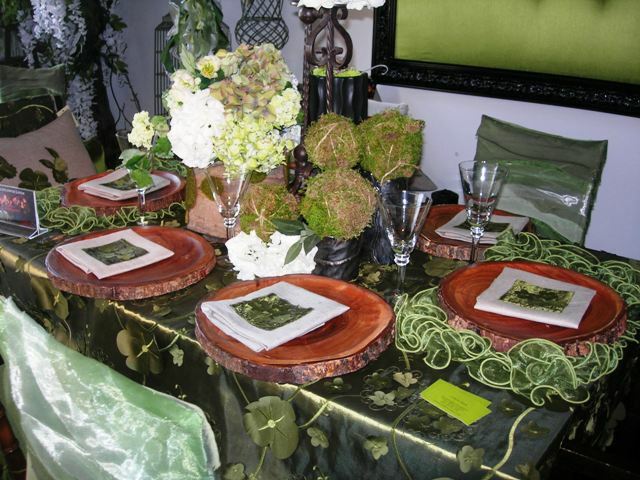 They are a leading designer and producer of specialty table linens for events and weddings. 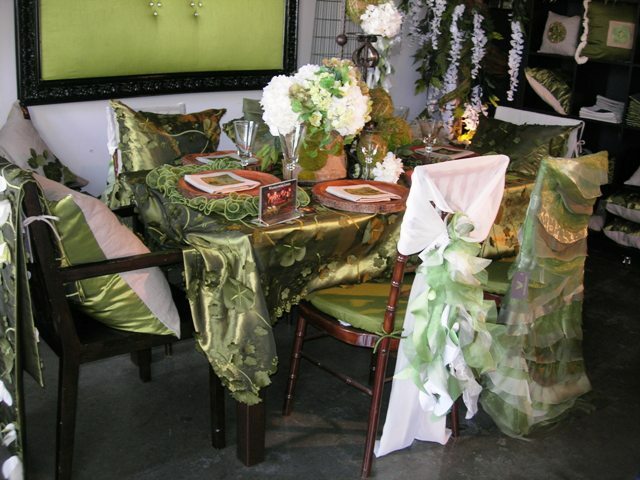 Their designs have redefined the special event linens field in terms of style and glamor. The main showroom is located in Costa Mesa, California. They provide for special events in the US and worldwide. It is worth the trip to see their lovely linens if you are in the LA area. They also did all the lavish decorations for the Breaking Dawn Part 1 and 2 after parties in LA. When I visited them they had a whole room designed to duplicate the Breaking Dawn wedding scene. It was gorgeous. 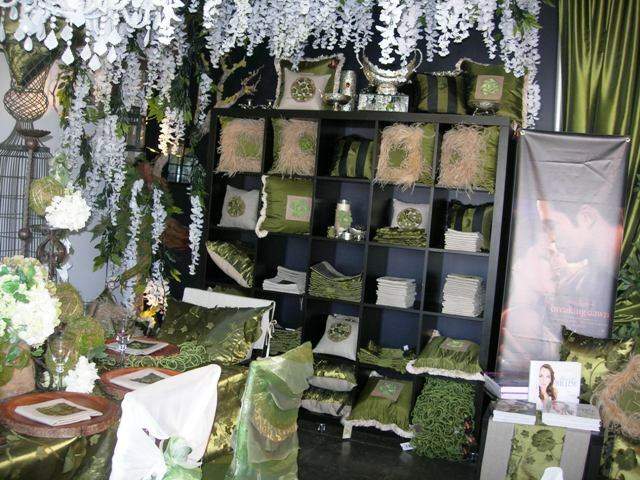 Their linens and accessories are available for purchase online or at their showroom.